On behalf of St. Columba’s N.S., I wish you and your families a very happy Christmas and a peaceful New Year. Thank you all for your generous support of the school this year. It’s a privilege to be part of such a dedicated, family orientated community. School reopens on Wednesday 6th January, 2016. 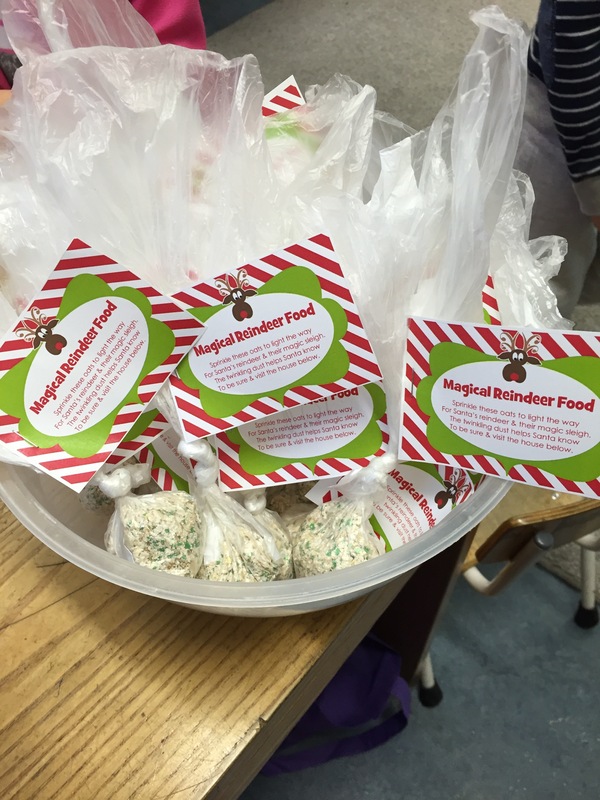 As Christmas draws nearer, we made reindeer food in school. 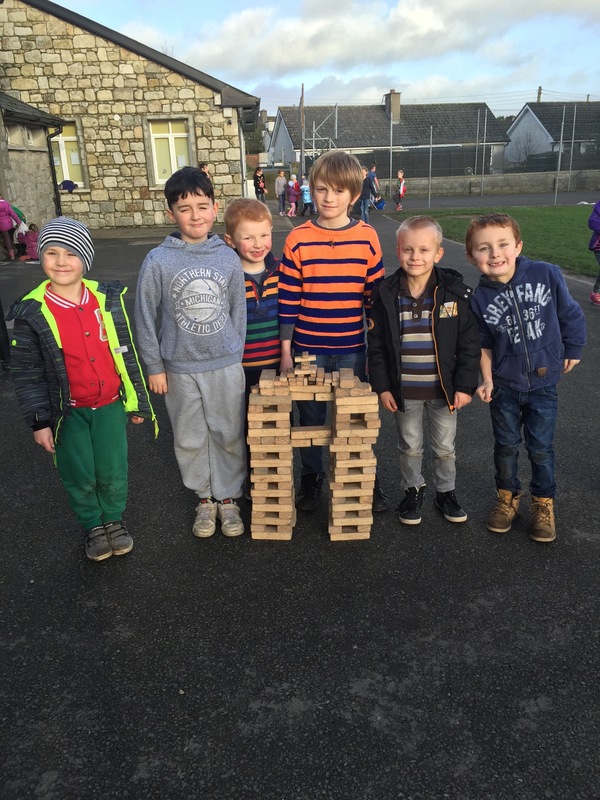 The magic recipe was completed with a stir by the children in Junior and Senior Infants. We hope it helps the reindeer to fly on Christmas Eve! 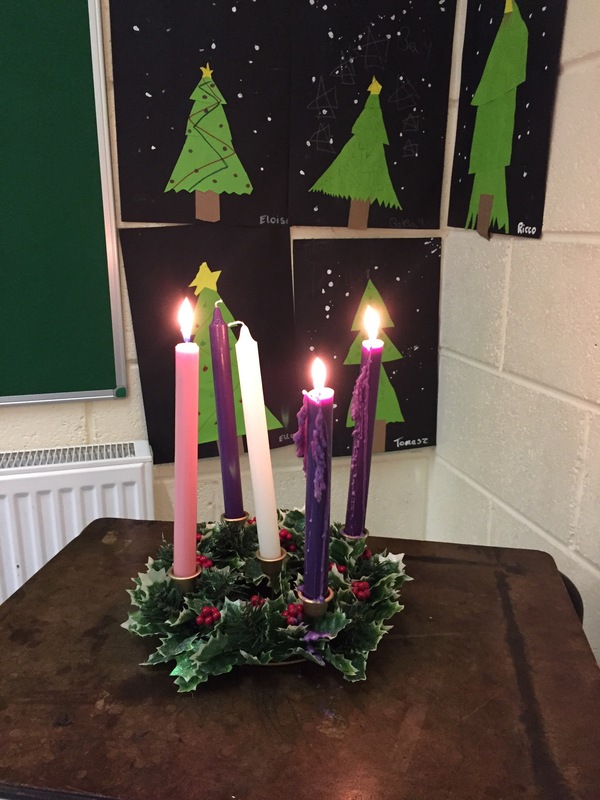 In Assembly today, we lit three candles on our Advent wreath to celebrate the Third Sunday of Advent. Next week, we will light four candles. Our Christmas concert was held on Thursday 10th December in the school hall. It was a fantastic evening! 1st-6th classes performed some choral pieces, directed by the talented Alison Behan from Music Generation. Junior and Senior Infants performed Whoops a Daisy Angel while 1st – 6th classes performed the Magical Christmas Jigsaw. Our hall was packed with parents, grandparents, friends and well wishers. Thank you to all for their support on the evening. 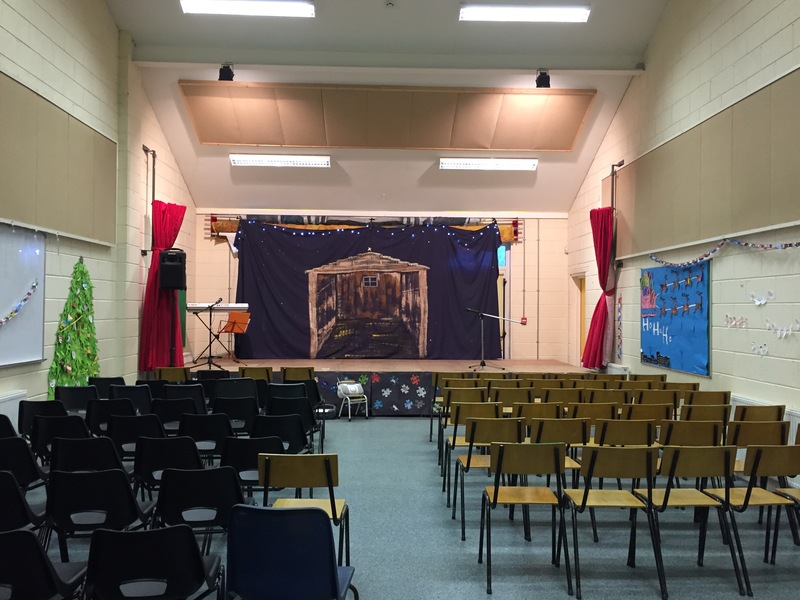 Our school hall is ready for our Christmas concert which will be held this evening at 6.30pm.